International Bestselling Author of ‘Hot Women Rock; How to discover your midlife entrepreneurial mojo’. Award Winning Author of ‘Hot Women, Cool Solutions; How to control menopause symptoms using mind/body techniques, mentor, author and international public speaker. Pat Duckworth is a midlife mentor, author and international public speaker. 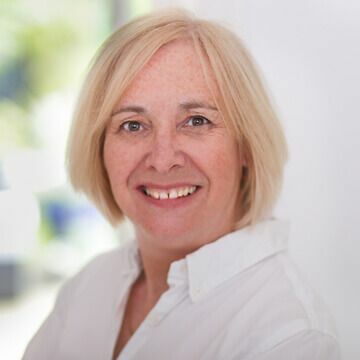 After over 30 years working in the public and voluntary sector at a senior management level, Pat discovered her entrepreneurial mojo in her mid-50s and retrained as a therapist and coach. Since then she has published three books including the award-winning, ‘Hot Women, Cool Solutions’. 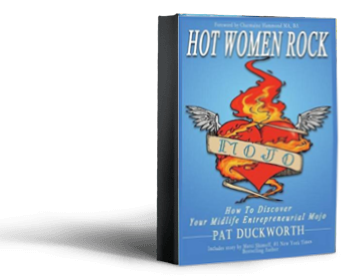 Pat’s fourth book, ‘Hot Women Rock; How to discover your midlife entrepreneurial mojo’, was published in 2016 and became a #1 International Bestseller. Pat is a regular guest on radio shows in the UK, America and Canada. She has contributed articles to national newspapers and magazines including the Daily Mail, Daily Telegraph and Natural Health. She has spoken at conferences in America, Holland, Cyprus and India as well as the UK. She is passionate about inspiring women to get the best from their lives, no matter what their age. To me, women empowerment means enabling women to reach their full potential in their personal, professional and educational lives. I have a strong personal value associated with fairness. When I started work women still automatically earned less than men for doing the same work. Then I entered a male dominated profession and experienced discrimination because I was a woman. It didn’t make any sense to me as I knew I was as capable, and in some case more capable, than my male colleagues. Then as I got older I became aware of the discrimination against older people in the workplace. I think it is important to the wellbeing of individuals and society that we respect each other, regardless of gender, age and beliefs, and create spaces where we can all contribute equally. Empowered people can act on their own authority and help themselves. They are able to develop their skills and capabilities. They take advantage of opportunities. They respect themselves and others. They have self-worth. Firstly leaders and individuals have to be aware of the situation of those who do not feel empowered. They need to listen to them, see what is happening and take action to understand their situation. Secondly they have to promote equality and be prepared to speak up to support empowerment. Thirdly they need to provide support to people to increase their empowerment and remove obstacles to it. Who you spend time with is who you become, so build a network of supportive people around you – men and women who you admire. Start with a mentor, a woman who has succeeded in becoming empowered who would be prepared to help you. Listen to her advice and learn from her experience. You are not the first woman to tread this path and this is not a journey to travel on your own.